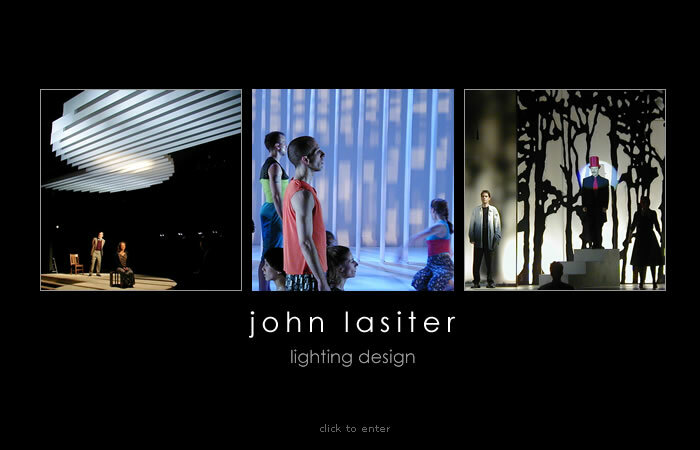 Online portfolio of John Lasiter, New York City based Lighting and Scenic Designer for Theater, Opera and Dance. Site includes portfolio, resume and contact information. In this website you will find pictorial examples of the work of John Lasiter as well as contact information. This site requires that Cascading Style Sheets (CSS) be enabled on your browser. If you would like to view this site please enable CSS in your browser's preferences, quit your browser, relaunch and retype the web address.